For his latest creation, Bill started with a home made deeply z'd frame that would place the car just off the table. 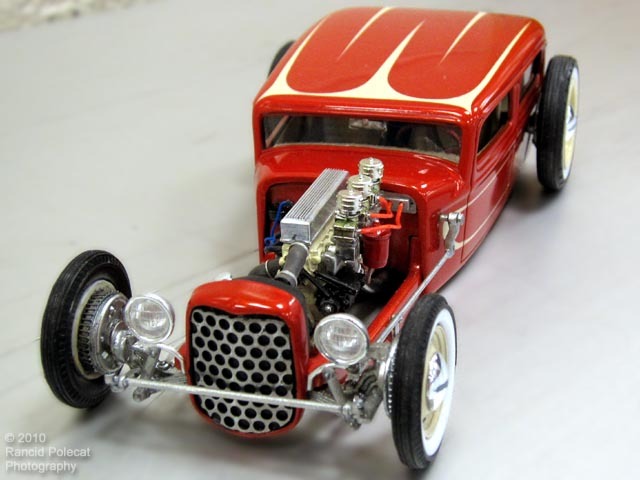 To his frame he hung the front and rear suspension from a Revell 1932 Ford kit. Artillery wheels and tires and are Modelhaus units in front and cut-down 18-Wheeler units in the rear.